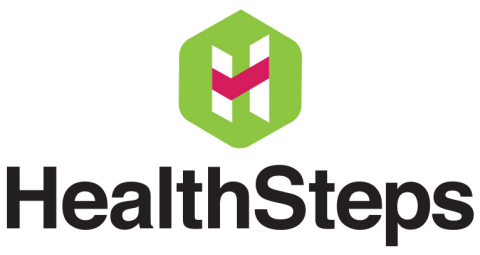 GAINESVILLE, Fla.--(BUSINESS WIRE)--HealthSteps, an emerging mobile health company providing innovative mobile software solutions for improved health services delivery and clinical research discovery, has announced it has won first place in the American Medical Association (AMA) Interoperability and Innovation Challenge sponsored by Google Cloud. The challenge invited health and technology sectors to present mobile solutions that use patient-generated health data to improve physician workflow, clinical outcomes, or reduce health care system costs. From the initial 36 submissions, eight teams were selected as finalists to present in front of industry leaders and stakeholders in a pitch competition at Google’s offices in Cambridge, Massachusetts. HealthSteps placed first out of 36 submissions from health and technology entrepreneurs from around the world. “We are very proud to have achieved first place. To be recognized in such a way by the AMA and Google is an exciting win that is additional validation of the company’s mobile health platform and our team’s efforts. It is an important milestone,” said HealthSteps CEO Benjamin King. The synchronized care plan provides patients simple, detailed instructions with activity reminders and the ability to report their symptoms, all while connecting the medical team, family members and other caregivers to help patients stay on track and improve health outcomes. The HealthSteps platform allows physicians to follow a patient's progress and capture key health data from wearables and bio-sensing devices. HealthSteps’ mobile platform also gives physicians access to data in real-time, so they can adjust care plan activities as needed without having to wait for the patient’s next clinic visit. "The future of healthcare is literally in the palm of our hand," said HealthSteps COO and co-founder, Brian Tisher. “The proliferation of mobile devices enables physicians to connect with patients on an unprecedented scale, allowing providers access to significantly more data points to make medical decisions. By designing our platform using an intuitive and clean interface, we engage patients more effectively." The company is initially focusing on the electronic patient reported outcomes (ePRO) and electronic clinical outcomes assessment (eCOA) market; these ePRO and eCOA solutions enable clinical trials to capture vital data. HealthSteps’ long-term strategy includes progressing further into the healthcare arena, targeting healthcare providers, large medical centers, and insurance companies. HealthSteps is a resident company of UF Innovate | The Hub, part of the University of Florida innovation ecosystem, and is an excellent example of UF Innovate’s mission to build business on innovation. The Hub is a mixed-use business incubator that offers a place and a program to help companies such as HealthSteps succeed. The UF Innovate connections have been successfully leveraged by HealthSteps to foster multiple partnerships with UF Health clinician researchers. One such partnership has led to an ongoing collaboration with Dr. William Slayton, division chief of Pediatric Hematology and Oncology at UF Health. Parents and caregivers of children with leukemia being treated by Dr. Slayton use the HealthSteps app to manage medications and track symptoms. The goal is to improve medication adherence and health outcomes in this population. Located at the University of Florida's UF Innovate | The Hub, HealthSteps has successfully piloted its mobile platform at UF Health with Dr. William Slayton within the Division of Pediatric Hematology and Oncology. The company is working within other clinical areas to provide mobile care coordination as well as electronic capture of patient-reported outcomes (ePRO) data to support clinical research. HealthSteps plans to provide its mobile platform to other academic institutions, contract research organizations and clinical trial sponsors to improve subject compliance, a key factor in achieving success in clinical trials. 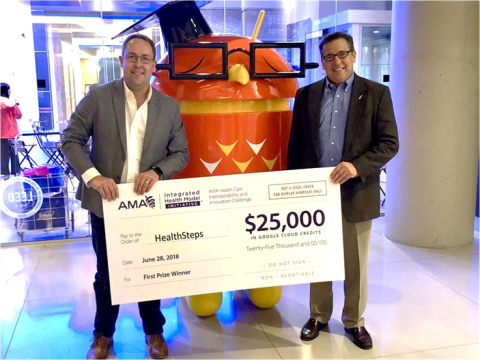 HealthSteps mobile software solution for improved health services delivery and clinical research won first place in the AMA Innovation Challenge.